Get access to extra information and helpful tools to ensure success in growing your nest egg, including additional data, support articles, market news, investing trends & live tracking of “Blueprint to Wealth” portfolios. Take a look inside the book by reading the books Preface. Review research on off-shore balanced funds, showing that Balanced Funds all have different balancing between asset classes the world over. Compare projection charts for retirement nest egg targets (i.e. how much money you’ll need) across different age group scenarios. Approaches to utilize in the Stock Market. For non-US investors using the Core Satellite approach, see the comparable index ETFs with which to deploy this simple strategy. See the author’s “real money”, publicly executed portfolios using mechanical systems for stocks on the NASDAQ and for U.S. ETFs. 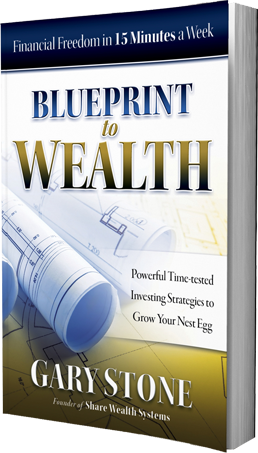 Download the “Blueprint to Wealth” Single Index ETF Buy-and-hold Investment Plan. “Blueprint to Wealth” Single Index ETF Buy-and-hold portfolio performance, compared to Balanced Funds and Target Date funds. Make sure you ask the right people the right things in the preparation of your Investment Plan, refer to this question sheet first. Review research results for the “Blueprint to Wealth” single index ETF strategy, see the success yourself in black and white. When choosing stocks for your Investment Plan, there’s a premium list of companies with the right characteristics. Check the current status here. The “Relative Strength” strategy is stress-tested using five example ETFs on historical data, see the research outcomes and equity curve chart.”. Iain’s proving the large financial players completely wrong and achieving a much higher return than he would have in his old fund… and he only switched on January 4th 2016. Download a copy of Iain’s Investment Plan, make sure you’re properly prepared for your own journey to grow your nest egg. Iain’s Investment Plan researched equity curve and closed trades. Get to grips with the different ETF and stock timing edge metrics which present themselves as individual market prices move. Find out more about the SPA3 for NASDAQ and SPA3 Investor software products, the mechanical investing systems referenced by the author.